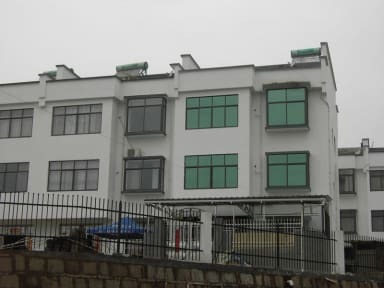 Huangshan B&B is the first homestay for foreign travellers in Huangshan City and you and your friends will learn a lot of things about local family life style and it ¡s your new travel style .The host speaks English and some other foreign languages as well. 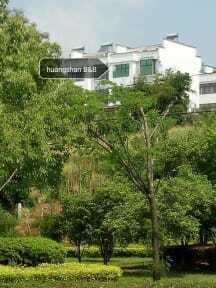 The hostel is centrally located in Huangshan city and not far away from train station and air port. It is close to downtown. The hostel offers free pick you up service on time.The price of room is cheaper with breakfast. The dinner is ready for you when you arrive late in the night .The quality is guaranteed! We offer many hostel amenities such as : Internet access, laundry service and ticket reservation. New, clean, refined and comfortable rooms with high customer ratings and good reviews. It is the perfect place to base your trip ! The hostel provides shared room (dorm) and private room accommodation to travellers from all over the world and perfect choice for travelers on a budget who want to have fun.The rooms are very bright and receive fresh air from the hills.The sunlight comes to room during in the morning.The views from window is around Mt and XinAn river. To Ancient street: 2 yuan and 10 minutes ,take No 12 bus directly to Ancient street. To River view and Ancient houses group: 10 minutes walk to the beautiful river and Ancient house groups.it's more beautiful in the night. 24-hour security and owner assist you with all your needs. Wouldn't forget your passport when you check in.Luggage storage is available after you check out. Steven is fluent in English and an experienced guide in the area. Steven will also personally arrange Day tours of Local Villages, onwards travel and accommodation, including further accommodation on top of Mt HuangShan. We can arrange FREE pick-up at either the railway station, bus station or airport . Please give me your phone number when you book. It is easy for me to contact you when the email doesn't work sometimes. No 12 bus directly to our hostel from Train station.The hostel offers traditional breakfast and dinner. Steven is a renowned local chef who cooks the best traditional Chinese meals in town. Optional Dinners consist of multiple courses prepared to the liking of each guest. Satisfaction is guaranteed!